Ribolla Gialla 'Anfora' by Gravner is a mythical wine vinified in amphorae buried for about 7 months, without the addition of selected yeasts and without any temperature control, it is left to mature for years in large oak barrels. It is son of a very long maceration on the skins, from which' orange wines'. White unattainable for energy, complexity and charm. 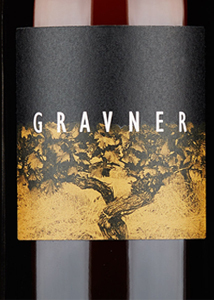 THE WINE Ribolla Gialla 'Anfora' by Gravner is a mythical wine vinified in amphorae buried for about 7 months, without the addition of selected yeasts and without any temperature control, it is left to mature for years in large oak barrels. It is son of a very long maceration on the skins, from which' orange wines'. White unattainable for energy, complexity and charm. 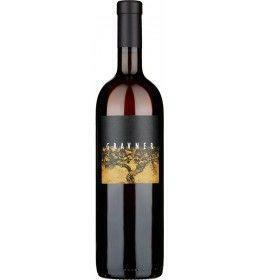 THE COMPANY The absolute protagonist of Italian wine and its recent history, Francesco Gravner, better known as Josko Gravner, is a winemaker whose name is intimately linked to that Collio Goriziano that he himself helped to make famous throughout the world. A journey that begins far away, when Josko is still a teenager who begins to vinify the grapes from the vineyards planted around his home. The use of steel first, and then the barrique, mark a road that goes through much of the 80s and 90s, until the turning point and the introduction into the cellar of the amphorae coming from Georgia, from which derives the name of its wines. A viticulture, that of Josko, with the passing of time has stripped of all technicality, natural to the intransigence, daughter of careful work in the vineyard, where for over twenty years every synthesis product has been banned. The over thirty hectares of vineyards, most of which are owned, are located in various locations in the municipality of Oslavia, in the province of Gorizia. At an altitude ranging between 150 and 270 meters above sea level, the vines enjoy optimal exposures and grow on typically limestone and marly soils. In the vineyard, a rigor and a method are applied that lead back to the most ancient popular beliefs of the territory and to the most remote local traditions, with time proved to be more authentic than anything else. In the cellar, the long macerations on the skins and the long maturation in wood are natural consequences of a process aimed at the enhancement not only of the grapes but of the whole territory itself. This is how unique wines are born, capable of going beyond any definition linked to organic or biodynamic. From the Ribolla Gialla to the "Breg Anfora", from the "Rosso Gravner" to the "Rosso Breg", up to the Reserves, we can choose one word to define them all: simply infinite wines. Tasting Color: very bright orange yellow. Bouquet: unique and inimitable, notes of aromatic herbs, beeswax, apricot and peach and sea water. Taste: full, deep, textured, slightly tannin, great elegance and purity. Service temperature 15° - 16° C.
The absolute protagonist of Italian wine and its recent history, Francesco Gravner, better known as Josko Gravner, is a winemaker whose name is intimately linked to that Collio Goriziano that he himself helped to make famous throughout the world. A journey that begins far away, when Josko is still a teenager who begins to vinify the grapes from the vineyards planted around his home. The use of steel first, and then the barrique, mark a road that goes through much of the 80s and 90s, until the turning point and the introduction into the cellar of the amphorae coming from Georgia, from which derives the name of its wines. A viticulture, that of Josko, with the passing of time has stripped of all technicality, natural to the intransigence, daughter of careful work in the vineyard, where for over twenty years every synthesis product has been banned. The over thirty hectares of vineyards, most of which are owned, are located in various locations in the municipality of Oslavia, in the province of Gorizia. At an altitude ranging between 150 and 270 meters above sea level, the vines enjoy optimal exposures and grow on typically limestone and marly soils. In the vineyard, a rigor and a method are applied that lead back to the most ancient popular beliefs of the territory and to the most remote local traditions, with time proved to be more authentic than anything else. In the cellar, the long macerations on the skins and the long maturation in wood are natural consequences of a process aimed at the enhancement not only of the grapes but of the whole territory itself. This is how unique wines are born, capable of going beyond any definition linked to organic or biodynamic. From the Ribolla Gialla to the "Breg Anfora", from the "Rosso Gravner" to the "Rosso Breg", up to the Reserves, we can choose one word to define them all: simply infinite wines.